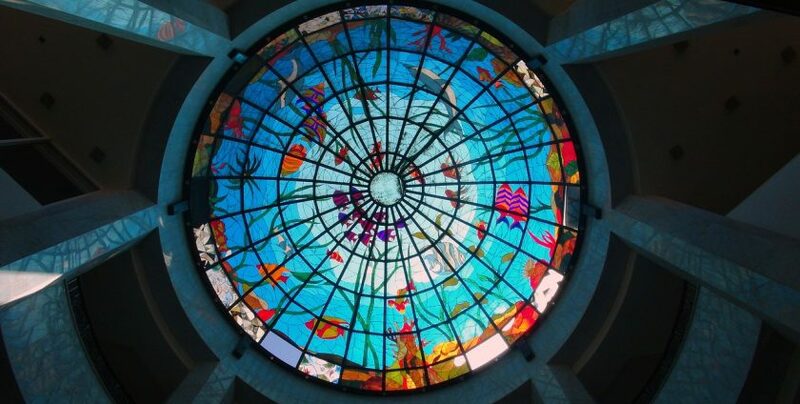 The art of mosaicing has been around for thousands of years and commonly uses a range of materials from glass, to stones, mirror and tiles. The best part about this form of decorative art is that over time it has developed in a way that it is not limited to professionals, which ultimately means that anyone with an artistic flair and a bit of patience can produce something beautiful. Mosaics are suitable for almost everywhere and can be found on all kinds of surfaces, small and large, and the addition of one in an outside space is not only a great way to recycle unwanted materials, but also the ideal way to bring life to a dreary patio. 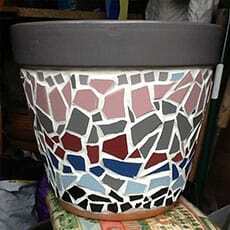 Here are some fantastic mosaicing ideas you can do yourself. Wondering what to do with that pile of discarded ceramic tiles? Why not make an interesting mosaic using the broken pieces? 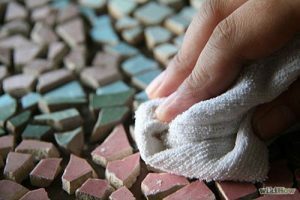 Mosaicing requires the use of small pieces of the chosen materials, so you’ll have to have a little fun breaking down your unwanted tiles even further. This is not only a great project to get your creative juices flowing, but one that can help you relieve some stress as well. Remember though that the pieces shouldn’t be too small and don’t worry about them being perfectly square – irregular shapes work really well in mosaics too. Once you’ve got your pieces, you’ll want to choose a pattern to follow. The best thing is to trace it out onto your chosen surface so you can use it as a guide. There are a few different methods used when mosaicing but the direct method would be to apply mortar (or any other suitable adhesive) to the backs of your tile pieces, after which you would attach them to your base. The final step is to add the grout, making sure it gets between all the pieces adequately. Perhaps you’re not overly keen on creating something from scratch and you’d much rather adapt something small that already exists on the patio. Try your hand at mosaicing those rather sad-looking pot plants or that bird bath that’s only been collecting water and leaves. Once you gain confidence and you want to advance on to something larger and more challenging, you can turn your attention to the garden bench or the patio table. You’ll need to make sure that you first replace the glass top of your table with a concrete backer board. Plywood should be placed on the underside of the board to avoid any sagging that may occur under the weight of the mosaic pieces. 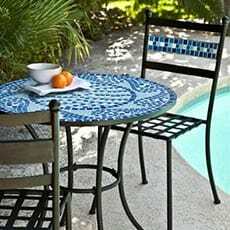 You’ve successfully completed some smaller mosaicing projects and now you’ve set your sights on the little pathways that lead off the patio. You’re thinking about creating a pebble mosaic so you’ve bought some pebbles in bulk from the gardening shop. The first step is to sort through the stones, separating them into like colours. The best way to see their true colours is to wet them. Once you’ve chosen your pebbles of varying sizes and colours, you’ll want to dig out the area where the mosaic will fit. If you’re not confident enough, it’s probably best to get some professional assistance for the actual laying, but you can be at the helm when it comes to designing the pattern. 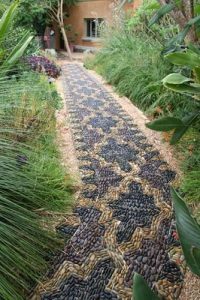 Pebble mosaicing is a great way to spruce up walkways and add a little something extra to dull patios. Don’t be afraid to think big when it comes to crafting something through mosaicing. Your patio should look good as it’s probably going to be the most likely place you entertain guests when the weather is warm. Mosaics are something you can incorporate into this outside space in order to make it a more inviting and happy place to be. We did this and it brought so much colour and that little bit of extra character to our outside area. Sitting there relaxing and seeing the shapes and colours glistening and reflecting in the sun was so relaxing and the grandchildren loved it.